Zoom into the Map by clicking the left mouse button. Click the right mouse button to Zoom out again. You can also use the mouse wheel to move in and out, and can pan the map by dragging the mouse. You can use the ‘Locations’ button below to display the list of places on the left hand side of the map. Selecting one from the list will centre the map (in maximum zoom) on that location, and if we have further information for it, you can click on the link in the information pop-up box to take you there. 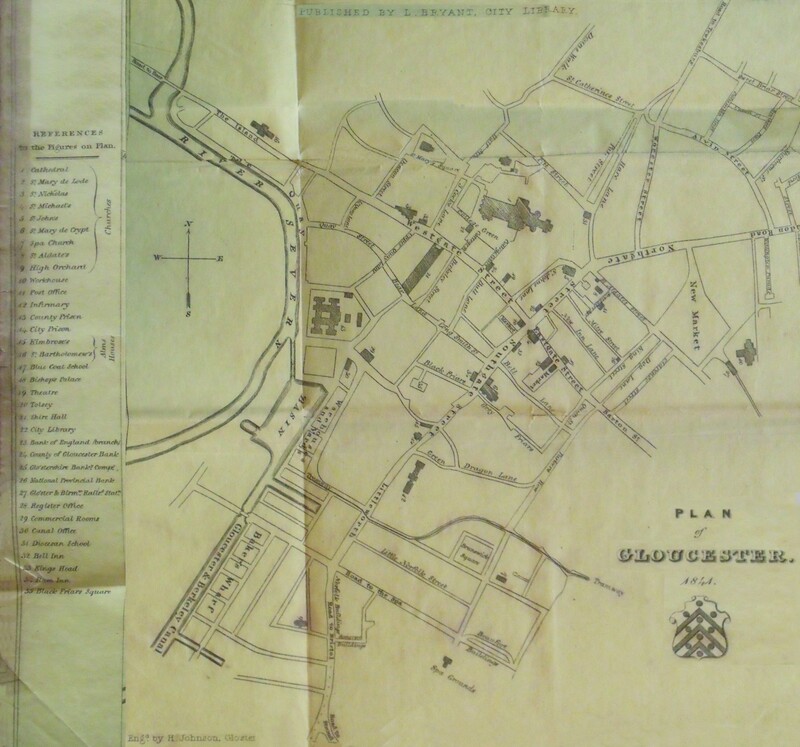 The Plan was included in a Directory for Gloucester published by Lewis Bryant in 1841, and is annotated ‘Engd. by H. Johnson, Gloster’. The 'Help' button will restore this information screen. Gloster & Birmm. Railrd. Statn.